Apart from having a first class infrastructure, the Mondseeland Technology Centre also disposes over excellent transport links. As a result of its proximity to the A1 motorway, Salzburg and the Bavarian business and industry region can be quickly reached. 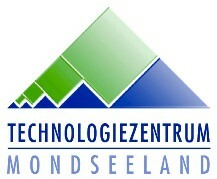 The Mondseeland Technology Centre is designed as a consulting and placement unit for the development of innovative companies contributing to the spread of cutting edge technologies throughout the region. Technology-oriented events provide both valuable internal and external impulses and through this approach to active technology transfer, the TZ Mondseeland has emerged as a competent contact partner for the regional economy. The Centre opens up possibilities for co-operation between local companies, the Upper Austrian Technology Centre network, R&D bodies and domestic business and industry.